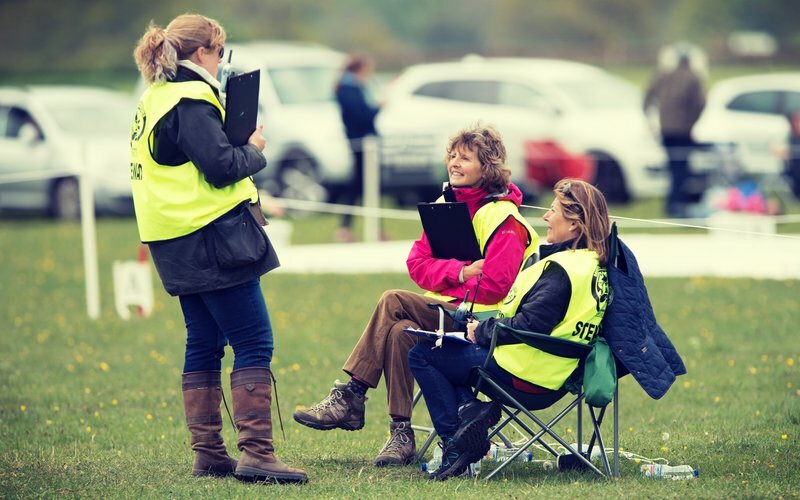 "Volunteering is a nice way to get involved in eventing; it's taken us to amazing places and allowed us to experience brilliant things. The atmosphere is always excellent too." "It's long days and seeing hundreds of horses and riders that make us feel like we've put back into the sport." "Volunteering allowed us to see amazing views and backdrops, make new friends catch up with old friends and travel all over the country. It's an amazing community to be part of." "I felt it was an opportunity for me to give something back to eventing. It also helps me understand what judges want as a competitor." "Experiencing different roles gives a fantastic insight into the works and cogs that go together to ensure an event runs smoothly." A good hat, coat and sturdy boots or wellies are essential. Always take a spare set of clothes and socks. Keep handy a map, contact details and details of who to report to. Something to keep your clipboard dry and a mobile phone charger are essential. Other items worth taking include sunscreen, fly repellent, spare pens and pads, a sports whistle and folding chair. If you would like to get involved with volunteering at BE events check out the Access All Area days coming up HERE.